Expressing result. Three pages of practice. 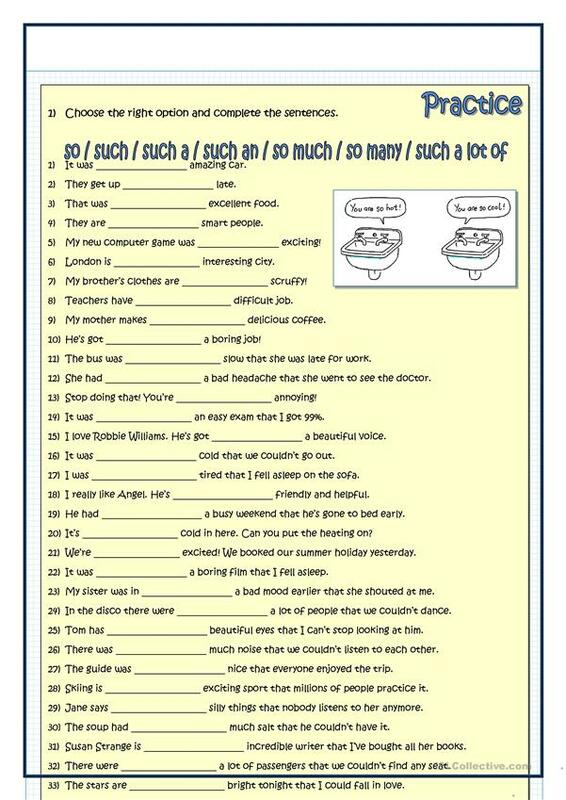 First, students learn or revise the differences between so or such and revise countable and uncountable nouns. Then they fill in the gaps with the right option. Finally they rewrite sentences that express result. The present downloadable teaching material is a great resource for high school students and adults at Pre-intermediate (A2) and Intermediate (B1) level. 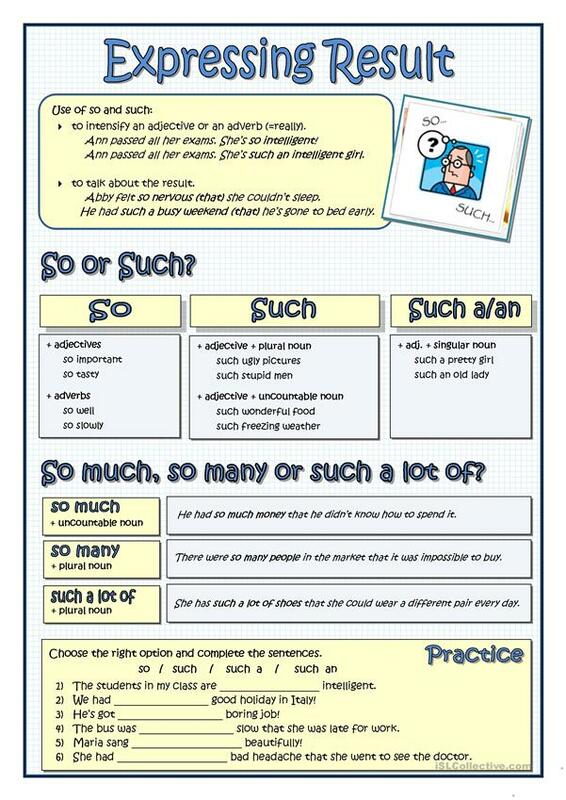 It is aimed at practising SO or SUCH + adjectives in English, and was designed for enhancing your learners' Reading skills.